This detached bungalow at Elm Drive on Garsington village has a modern ktchen, gas central heating and a modern boiler, double glazing and the electrics have been done in recent years. Many properties on this road have been extended and improved and there is scope to either extend to the garage, rear or utilise the utility room. Accomodation currently consists of a 15ft 10 living room, 10ft 8 fitted kitchen, utility room, recently renovated bathroom and two bedrooms facing the rear. A large window in the main living space affords alot of light to the property and there is a small conservatory at the side. The property sits in a good plot with a large single area and a driveway to the19ft garage. Other properties have further utilised the garage as living area and used the good size area at the front for further parking. the level rear garden has an area of lawn with gravelled areas and four areas for plants and shrubs. The garden has wooden panel fencing surrounding, it is Southwesterly facing. 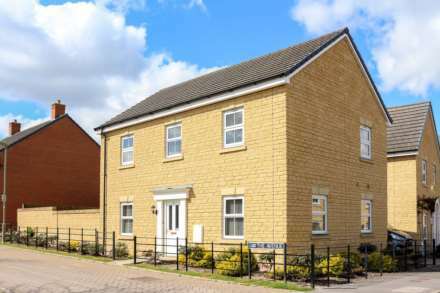 Garsington is a popular South Oxfordshire village which offers residents a lovely semi-rural village location and yet only five miles from Oxford with easy access to the city centre, the Oxford Business Centre and Oxford Science Park. The local road network gives excellent access to the M40 (within 10 minutes) easy access to Birmingham, London and Heathrow in around one hour (traffic dependant). The village facilities include a convenience store, popular primary school, public house, playing fields, a church and a bus service to Oxford. More comprehensive local amenities can be found in Wheatley and the Cowley Retail Park is just a few miles away.